With the great student celebration of Vappu coming soon, here is your guide to follow the event. If you haven’t read it already, you can find out more about Vappu’s history in my previous blog post. Shortly described, Vappu is the most important student celebration of the year. It is also the occasion for old and young Finns to celebrate the coming of spring and summer. It coincides with the international workers’ day, on the first of May. In Turku, Vappu is one of the few days during the year when the streets are full. I always wonder during those days, where are all those people hiding during the rest of the year! Isn’t it on the first of May, you might ask? Well, yes, but not only. The most important celebrations take place on the 30th of April, and even though the 1st of May is the official holiday, it is, for most students, the occasion to heal their hangover. The band of the university, Sohon Torwet, is also present at the celebrations. Since Vappu day (1st of May) is a public holiday, you should expect most shops to be closed on that date. This being said, even in the days before, the shops might be full, especially those selling alcoholic drinks. Moral of the story: think in advance of what you will need. What you will need includes a couple of things, starting from a few drinks. If you have an overall, remember to sew your patches/badges. Vappu is one of those special days where everyone is wearing their overall. Clothes and coat(s) for both cold and warm weather are essential (Finnish weather at this time of the year is, to say the least, unpredictable). So are good shoes, Vappu involves a substantial amount of standing and walking. Three food/drinks are essential for Finns on Vappu: sima, Tippaleipä, and munkki. Munkki are donuts, they are usually offered by student union in the morning of the 30th (if you are early enough to get some). Sima is a type of mead. It can be alcoholic or not, and can even be homemade. As for Tippaleipä, it is the traditional pastry for Vappu, and it has a very peculiar shape. Expect to see all those during the celebrations, and don’t hesitate to give them a try. You won’t regret it! Full disclaimer: this schedule is mostly for the ”Finnish-speaking” Vappu. Students of Åbo Akademi or Novia have slightly different traditions, and since I haven’t taken part in those, I’ll do my best to mention them here but if you’re not sure, please ask someone more knowledgeable on the topic. N.B. I am myself a student of Åbo Akademi and I have attended the celebration from University of Turku, so there is not problem in following whichever celebration you prefer. Morning/early afternoon of the 30th: Students gather in different locations, where drinks and patches are available, usually from 12.00. I have personally always been in the space in front of Educarium and Publicum. There is usually a concert there, if the weather isn’t too bad, and it’s also easy to go for lunch in one of the neighboring student restaurants. Afternoon of the 30th: Around 16-17.00, it is time to head for the Art Museum, near the Kauppatori. It is there, on Aurakatu, that everyone gathers for the official ceremony, which begins officially at 17.30. A procession of flags should come from the university to the hill, where they end up on the steps of the art museum. Around that time, the chairperson of TYY, the student union, pronounces a speech. For ÅA and Novia students, this takes place on Vartivuori, the hill of the observatory. 18.00: Perhaps the most impressive moment of the celebrations, on the signal of the chairperson, all participants put on their student cap. Be ready for it because it happens quite fast! 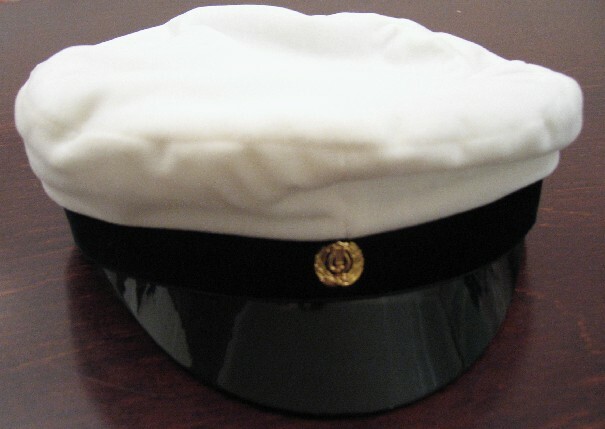 A typical student cap, ylioppilaslakki in Finnish. Source. 18:30: Following the speech, the flags and procession head for the Lilja statue, located on the other side of the Aura river. The dentistry students then wash the statue, a tradition dating back to 1929, inspired by a similar practice in Helsinki. The Lilja statue, sculpted in 1927 by Wäinö Aaltonen. Source. Evening of the 30th: After the official ceremonies, the crowd usually heads for the riverside. If the weather is good, this is the occasion to have a drink and lie down. Do not forget to go to the restroom before, since there are limited toilets in the surroundings. There are numerous parties in the night, but most require tickets or have entrance fees. If the weather is nice, the riverside is usually quite crowded on Vappu! The main event on the 1st of May is the Vappu picnic. In the morning, everyone heads for the observatory hill (art museum hill for the ÅA/Novia students). There, everyone eats some well-earned food, with some drinks for the bravest. There is also usually a concert in the park. Don’t forget to bring some plastic bags to sit on, since the ground is usually quite humid. With all this, you should be ready to make the best out of Vappu! Let me know in the comments if there’s anything I forgot, or which you would like to know.